1-Owner Carfax Certifed! ONE OF A KIND WIDEBODY STINGRAY! Custom 3-Piece Wheels! Custom Pearl Paint! Red Leather Interior! 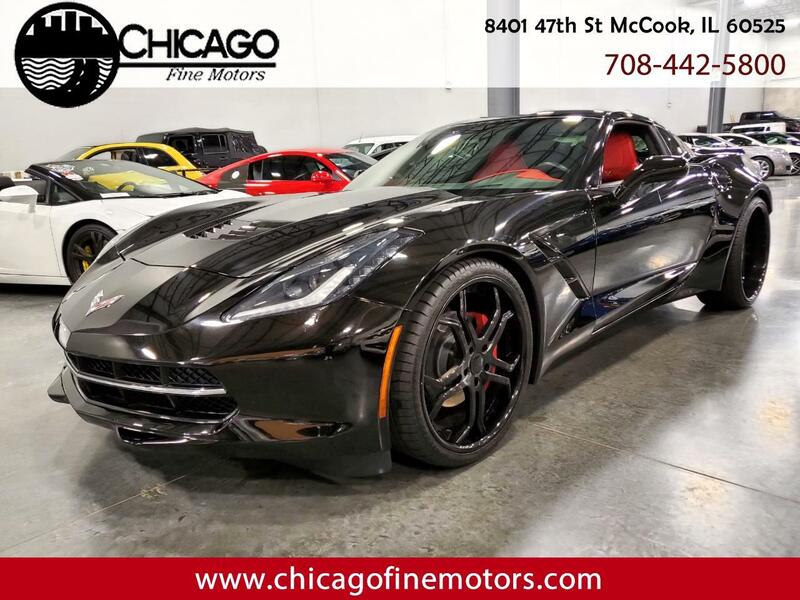 Fully Loaded inside with a Red and Black leather interior, power/heated/cooled seats, key-less entry, Navigation, Push Start, Bluetooth, CD Changer,Removable Top and many other options! Powered by a 6.2L V8 Motor and Automatic Transmission! MINT condition inside and out and Drives Great! VERY LOW MILES! Carfax, Lots of Service Records, and Clean Title!